Our girls started off the (final) day in their semi-final game against Ontario and lost 10-5. Ontario went on to beat Oregon in the finals. Our girls then lost to the Phantoms in a 2-0 game. The girls had an amazing tournament and gained valuable experience. I am so proud of them for how they played. We played the California Cyclones in the semi finals. We lost 7-4 in a good game. The Cyclones went on to beat BC 4-1 in the finals. In our bronze medal game, we lost to the California Crown 11-1. Our men’s and women’s teams will be heading to Michigan for our next tournament in less than four weeks time. This evening we played the California Crown in our first game of the tournament. We lost 11-1. It was a tough loss, but we’re all very positive. We’ve been here before where we had a rough start to the tournament and bounced back. Tomorrow we play Pennsylvania, Alberta and Ontario. If we finish top 2 in our pool we will play in the semis on Sunday. The other pool has BC, California Cyclones, Quebec, New York and New Jersey. Nova-Q is our girls playing with a Quebec girl Nancy who is a 5 time paralympian and 2 time paralympic gold medalist. They played the Phantams, a team from the US who has the US starting centre. The girls tied them 5-5. There are 6 women’s teams. The girls have 4 games tomorrow. They play Ontario, Oregon Thorns, Australia and Alberta. If they finish top 4 they will make the semis on Sunday. We started of our day playing against Pennsylvania and lost 5-2. We remained positive and focused on our next game against Alberta. We beat them 7-6. We were still in a situation where we could still finish 2nd in our pool if we beat Ontario in our last game and got help from some other teams. We beat Ontario 7-2. We then needed Ontario to tie or beat Pennsylvania in their last game of the day which would create a tie for 2nd with us and Alberta at 2 wins and 2 losses and we would finish 2nd based on the head to head with us having beaten Alberta. Ontario upset Pennsylvania in a close game 5-4. That put us in 2nd in our Pool. California Crown were 1st in our pool at 4 and 0. We play the first place team from the other pool in the California Cyclones tomorrow morning in the semis. California Crown play BC in the other semi. Our girls, Nova-Q, played against Ontario in their first game of the day. Ontario are the 9 time defending national champs. Our girls beat them 7-4. They then beat Alberta 9-2 and Australia 5-3. Their last game was for first place against the Oregon Thorns. They beat them 5-2 to finish first in the round robin with 4 wins and a tie. They play Ontario in the semis and the two US teams play in the other semi. So, both our men’s and women’s teams play in the semis tomorrow! 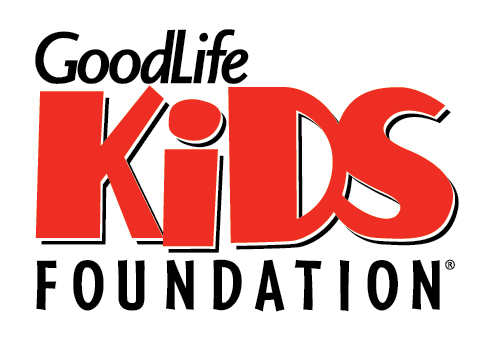 Thanks to the incredible support from the GoodLife Kids Foundation, more blind and visually impaired kids & teens than ever are getting active through the exciting Paraplympic sport of goalball. 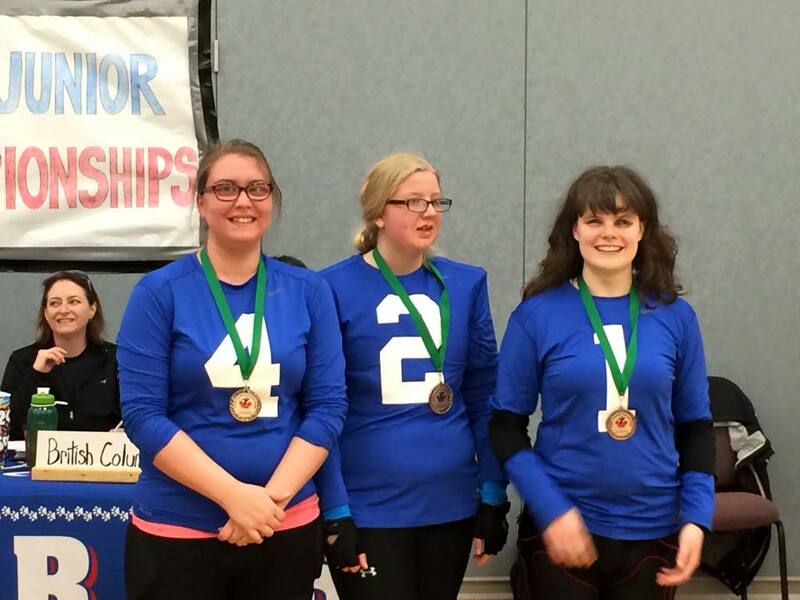 Goalball is an inclusive way to have fun, get active, or develop your athletic abilities. Contact us at info@blindsportsnovascotia.ca or message us on Facebook to get playing in your area. 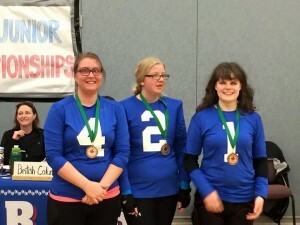 Pictured below: Amelie, Jill and Tara are just 3 of many junior goalball players, who play & practice regularly and travel to tournaments to represent Nova Scotia, with the help of qualified coaches. They are wearing gold blue jerseys and gold medals in this photo.